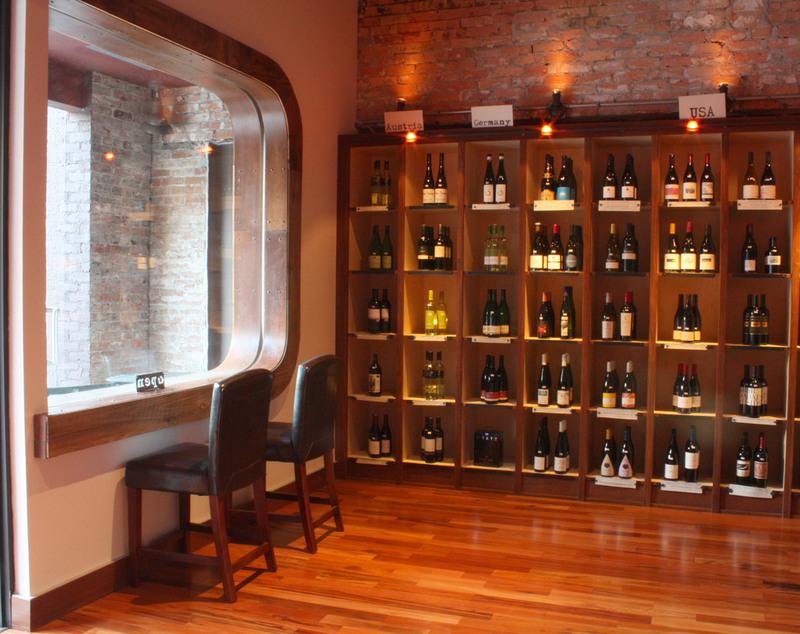 This fabulous wine boutique was housed in what was an outdated office space in downtown Asheville. The Owners wanted not just a retail shop, but also a tasting room for classes, events and private parties, a space where people felt comfortable to peruse the shelves while sipping a glass of wine. A notable design feature is the oval, rustic modern, storefront made with wood reclaimed by the Owner from their Madison County family farm. This business has closed down and the space was repurposed for another business.